Participants in Monday afternoon’s news briefing included Spencer Wolfe (West Virginia Univ. 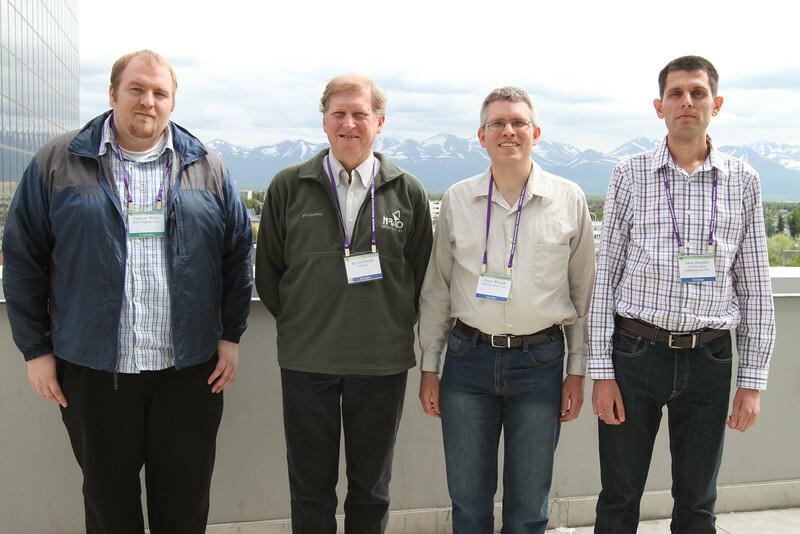 ), Jay Lockman (NRAO), James Rhoads (Arizona State Univ. ), and Akos Bogdan (Harvard-Smithsonian Center for Astrophysics). They described new findings about galaxies from the Local Group to the high-redshift universe. AAS photo © 2012 Joson Images.